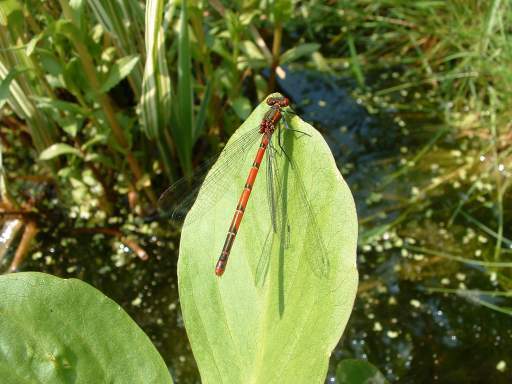 A large, red damselfly with black legs. Breeds in all types of still and flowing water and is tolerant of acidic, slightly brackish and mildly polluted conditions. 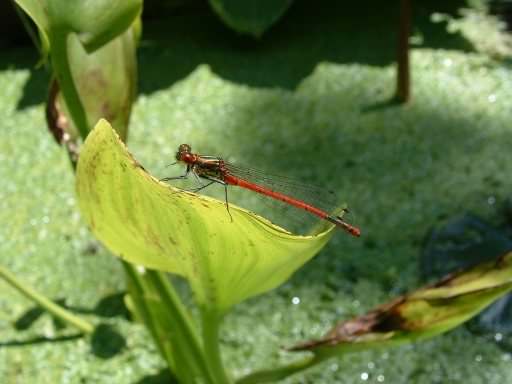 Often one of the first colonisers at new ponds, it is widespread and common in Britain as far north as the Orkneys, but scarce in some counties with extensive chalk (notably Wiltshire). It has declined in the intensively cultivated areas of the eastern counties, such as the Fens. Pyrrhosoma is one of the few genera confined to the Palaearctic region. 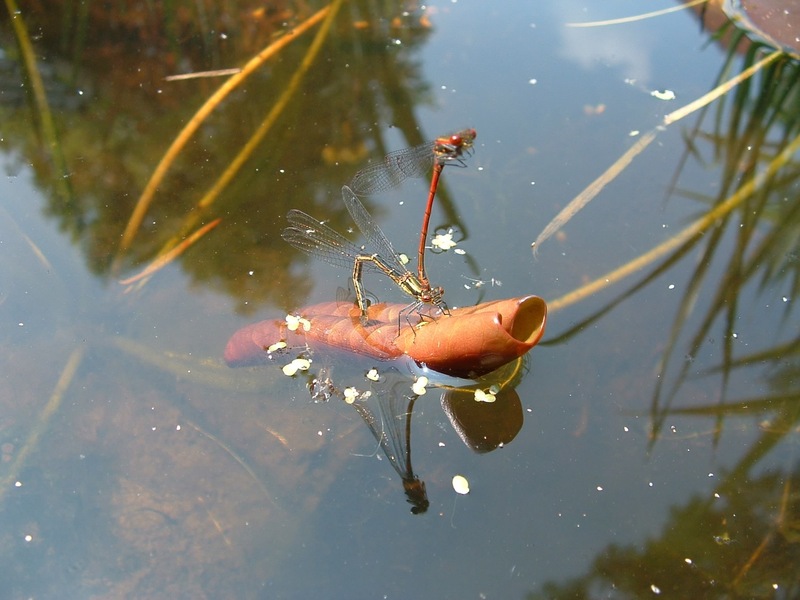 P. nymphula is widespread in Europe, although more local around the Mediterranean and absent from some of the larger Mediterranean islands. Its range extends into Asia and southwards to Morocco. In the 1950's it was abundant and widespread in the local area, breeding in ditches, ponds etc. Surveys in the 1990's have found it to be frequent throughout the Blackwater Valley. 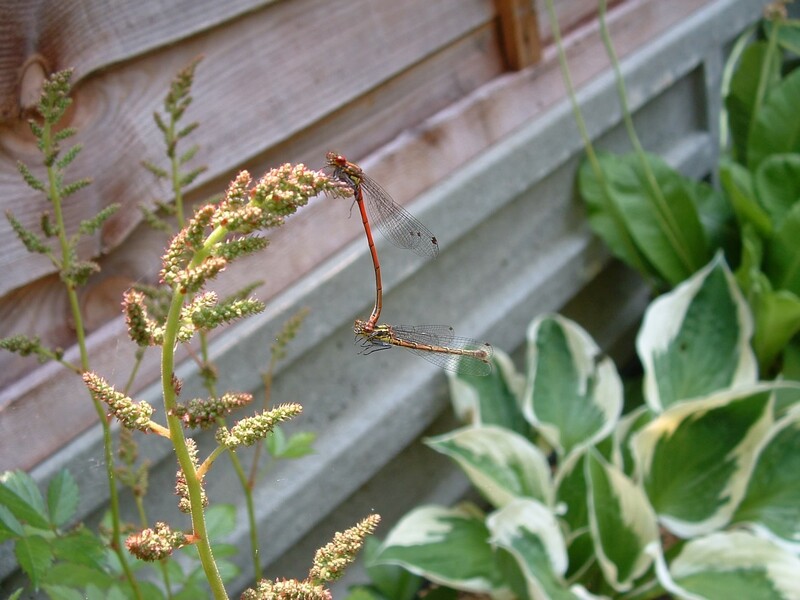 Often the first damselfly of the year, it flies from the beginning of May to the end of August. Description and data courtesy of The Blackwater Valley Partnership.